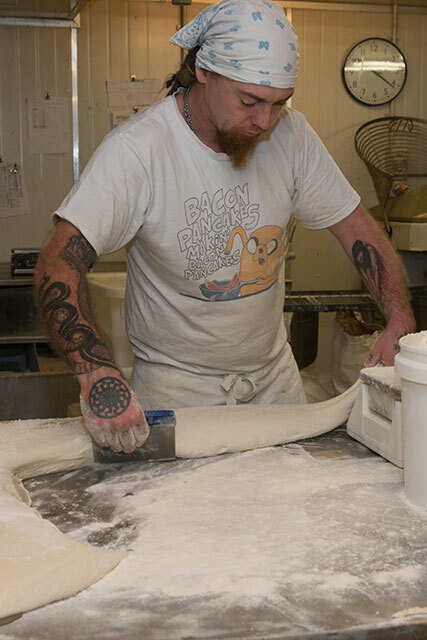 Damian believes there are three great baking traditions in artisan baking; French, German and Italian which traditions have been encapsulated in the new wave of artisan bakers from the United States, Europe and Australia. Sourdough is wild yeast and bacteria fermented without the addition of commercial yeast. Organisms necessary for sourdough are generally present naturally on the surface of grain and flour. Sourdough can be made by making a paste or dough of flour and water. The mixture can be left in a cup or other food vessel, either covered or partially covered (to prevent drying out). Fermentation can occur within several days, though often this first activity does not contain long term sustainable yeast and bacteria. 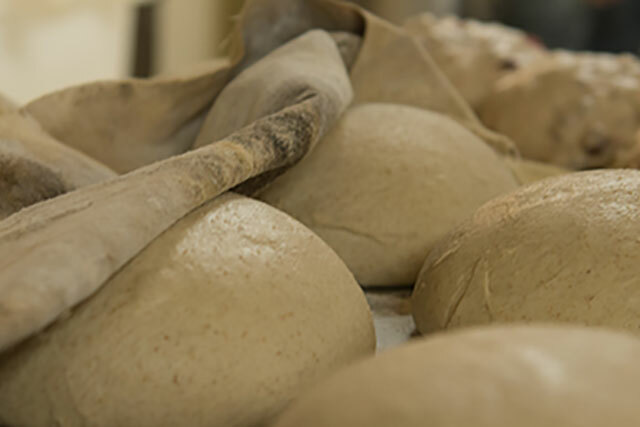 Sometimes it takes several weeks to develop fermentation that is sustainable and contains suitable yeast and bacteria to successfully rise bread dough. Agricultural chemicals can reduce the quality and quantity of yeast and bacteria. Organic flour is generally preferred to make and maintain sourdough (http://artisanbaker.org/definition-sourdough). 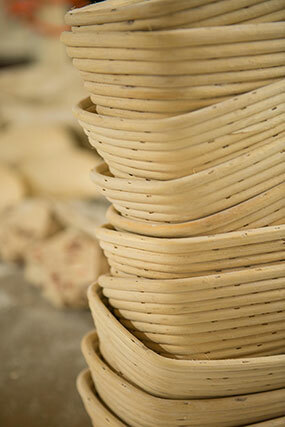 Loafers’ starters are all made with organic flour, from a base starter that has been going for 7 years. 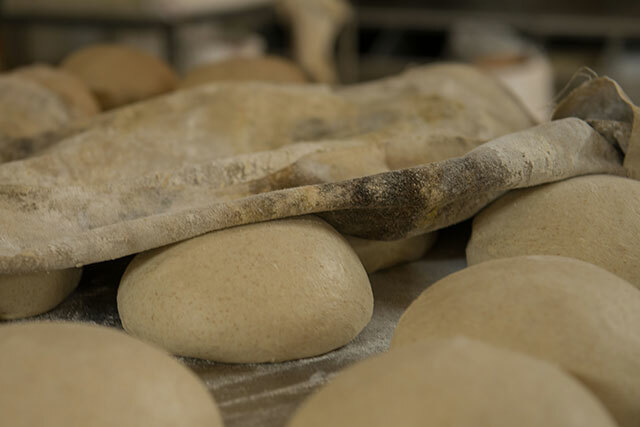 It is grown in conditions which aims to improve the profile of yeast and bacteria in it to improve the crust, crumb and texture of our sourdough breads. Loafers’ sourdough breads are made over a 3 day process. As well as sourdough fermentation, Loafers makes artisan breads using yeasted fermentation. These products can take up to three days to make. 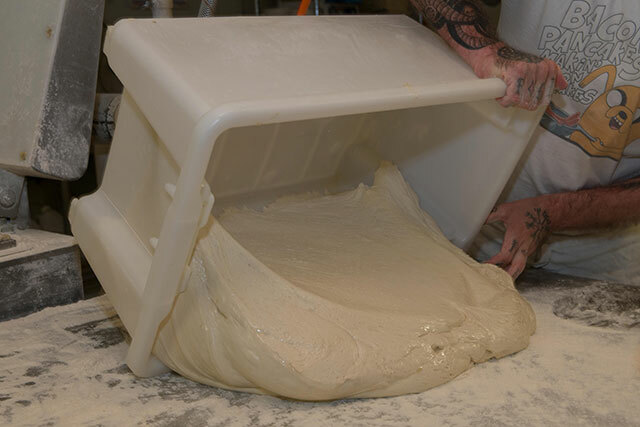 Different techniques can be used; the whole dough can be fermented, a portion of the dough can be fermented or a pre-fermented dough such as a Biga or Poolish can be used. (https://www.weekendbakery.com/posts/more-artisan-bread-baking-tips-poolish-biga/). Loafers’ breads generally undergo a fermentation between 1.5 to 32hrs.